OPP has commenced an investigation into a Fail to Remain Collision at the intersection of Dundas Street West and Division Street in the City of Quinte West. At approximately 5:36 P.M. two pedestrians were crossing Dundas Street West on foot when they were struck by a dark coloured full size pickup truck. The vehicle came to a stop and the lone driver exited the vehicle; the driver quickly returned to the vehicle and fled the scene. The Quinte West OPP are requesting the assistance of the public in identifying the vehicle and driver responsible. 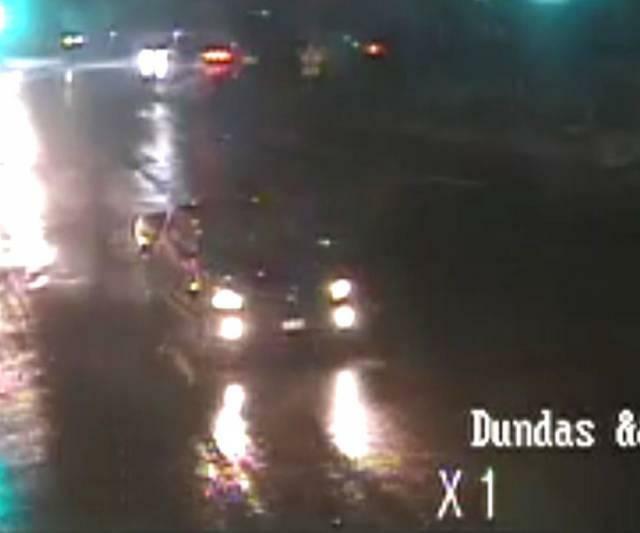 A still image of the vehicle from the video that captured the event is being distributed to the public in an attempt to identify the vehicle and driver.